Anthony Scaramucci to stop by Stephen Colbert's "Late Show"
LOS ANGELES -- Anthony Scaramucci will be a guest on Stephen Colbert's late-night show next week, the comic and CBS announced Wednesday. 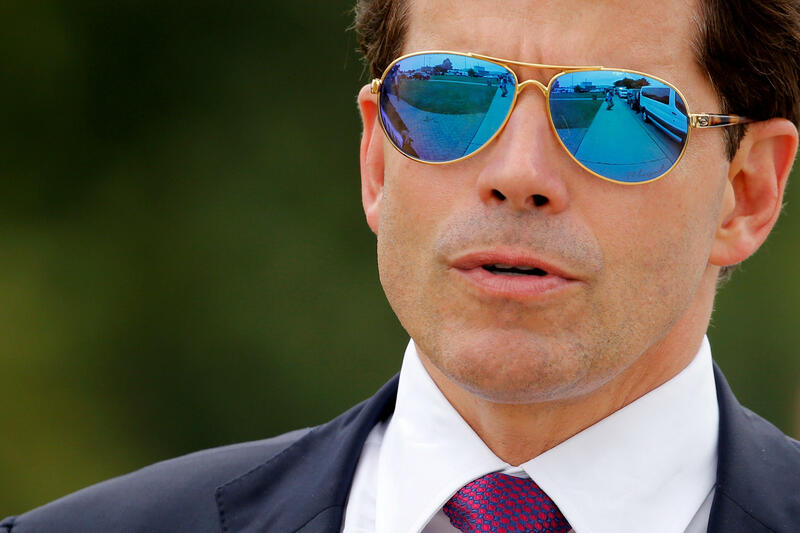 The network said Wednesday that Scaramucci will appear on Colbert's "The Late Show" on Monday, August 14. The former White House communications director lost his job with President Trump's administration July 31, after only 11 days in the job. His firing came after he gave an expletive-filled interview with The New Yorker's Ryan Lizza. On Wednesday night, Scaramucci tweeted calling Lizza the "Linda Tripp of 2017." and wrote that Lizza did not get permission from him to tape the call. Scaramucci had been scheduled to make other public appearances, including at the Politicon political convention in Southern California, but the financier canceled. He retweeted Colbert's announcement. Colbert's gleeful focus on the Trump White House has given his show a late-night ratings lead, and landing Scaramucci is a coup for the host. In fact, Colbert gave Scaramucci a tongue-in-cheek musical sendoff with a modern spin of classic rock song "The Bohemian Rhapsody."